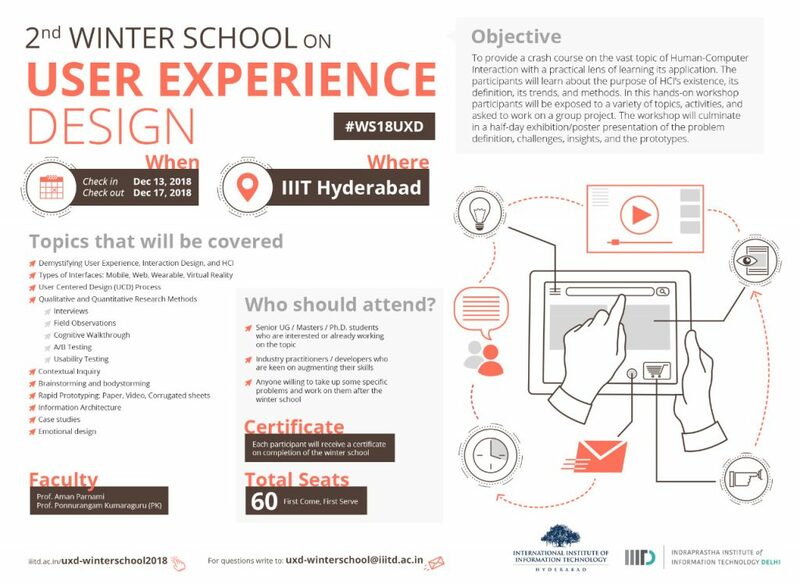 Winter School on User Experience Design is a crash course on the vast topic of Human-Computer Interaction with a practical lens of learning how to build useful, usable, and desirable interfaces. You will learn and practice skills, apply them to your projects, and also hear from the experts in the field from industry and academia. The workshop will culminate in a half-day exhibition of your projects from which our esteemed jury members will pick the best.